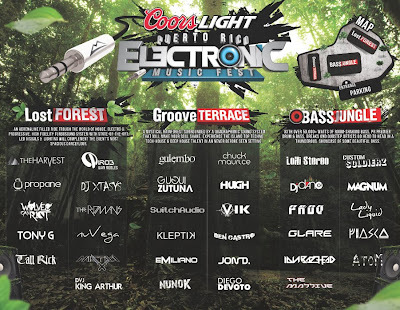 COORS LIGHT BRING YOU PUERTO RICO’S EDM FESTIVAL. 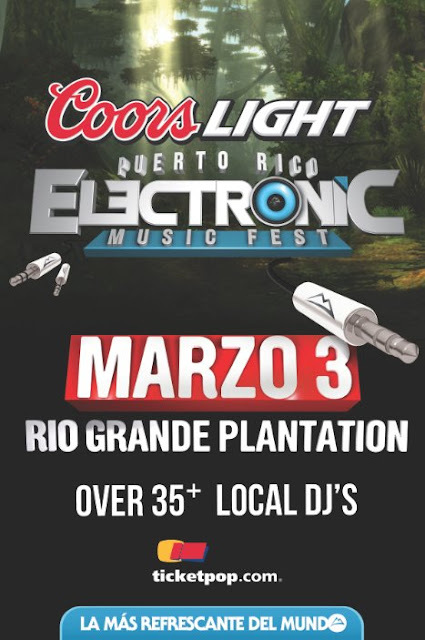 Join over 35 of Puerto Rico's Top Electronic Music Artist as we re-discover a unique outdoor location with over 30,000sq feet of flush vegetation and natural atmosphere. A Genuine organic experience that will entice your senses with the best of House, Breaks, Tech-House, Techno, Drum & Bass, Electro & Dubstep. Join us as we present this Amazing music Festival with 100% Local Talent on Three Stages. You cant mis this once in a Lifetime event with over 8 hours of party at a unique outdoor venue! - 3 Unique Custom Designed TURBOSOUND Systems by UBI Sound with over 100,000 Watts of Heart thumping power. - Atmospheric Decor & Ambientation in Surrounding areas with LED Lighting. - Lush Vegetation, & Chill Out Areas with nature. An adrenaline filled ride trough the World of House, Electro & Progressive. High Fidelity Turbosound system with state-of-the-art LED Visuals & Lighting will complement the event’s most spacious dancefloor. A mystical rainforest surrounded by a quadraphonic sound system that will make your soul shake. Experience the island top Techno, Tech-House & Deep House Talent in an never before seen setting. 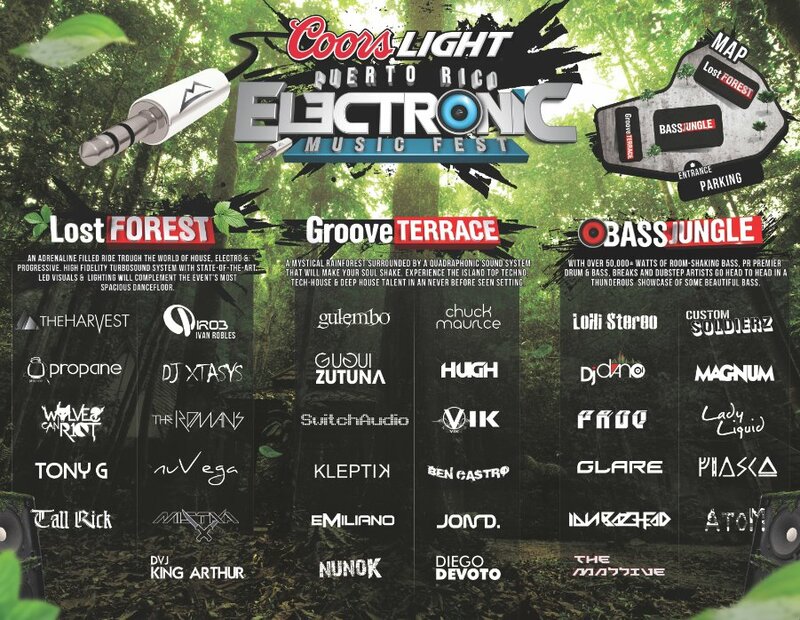 With over 50,000+ Watts of room-shaking bass, Puerto Rico premier drum & Bass, Breaks and dubstep go head to head. Definitely not for the faint hearted.